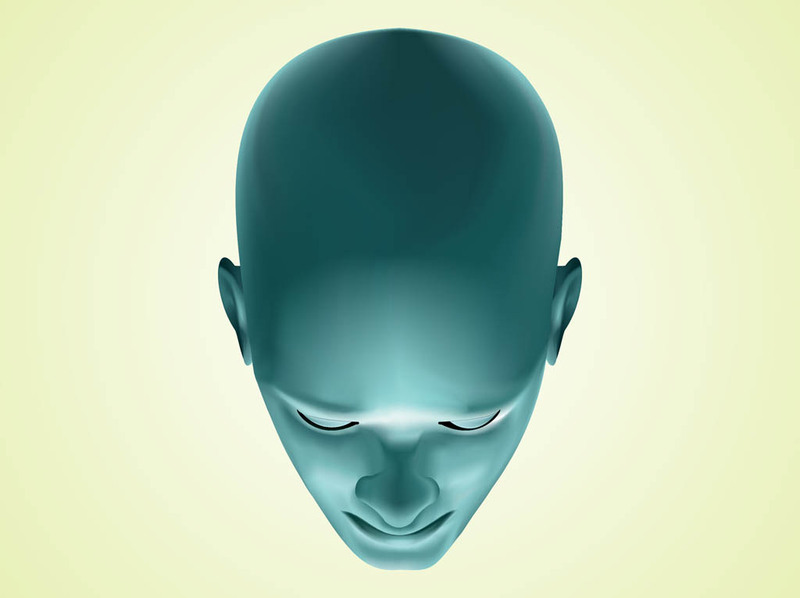 Detailed vector graphics of a person’s head. Bald head with closed eyes seen from the top. Symmetrical generic head and face with detailed features. Free vector graphics to create portraits, faces, people, facial features, psychic powers, mediums, mysteries and mind control visuals. Tags: Bald, Body, Ears, Eyes, Face, Head, Mystery, Person.